Modern commercial seeds are commonly grown using plants with cytoplasmic male sterility (CMS). Male sterile plants reduce the labor required to make hybrids, but they can cause problems for seed savers because the plants are male sterile in all succeeding generations. Even heirlooms and open pollinated seeds can be back-crossed onto plants with CMS making them male sterile as well. Cytoplasmic Male Sterility is used extensively by commercial seed companies as the simplest method of protecting their seed lines. 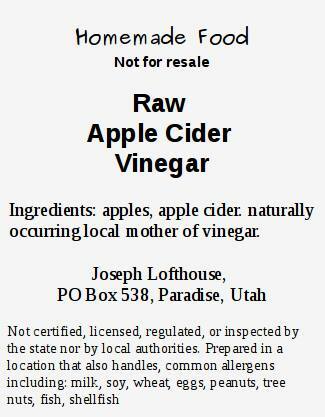 No lawyers or courts are needed to prevent people from saving the seeds of a variety that has sterility built into it by design. I believe that the widespread use of CMS by commercial seed companies is severely damaging the world's genetic legacy. CMS is inherited from the mother along with the mitochondria and other organelles. In most species, once CMS has been incorporated into a variety it cannot be reversed. As an example: I get queries from people about why their carrots go wild when they try saving carrot seeds. I believe it is due to CMS. All hybrid carrots, and just about all carrots from the grocery store have CMS. So when a gardener plants carrot roots hoping to get seed there may not be any domestic carrot pollen to fertilize the plants. 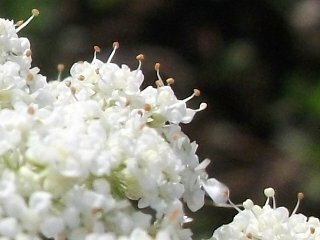 The only available pollen may be Queen Ann's Lace, which is the wild ancestor of carrots. So the carrots go wild in the first generation. For species without a nearby wild ancestor or close relative, no seeds will be produced. Potatoes are so extensively damaged by CMS that nearly every heirloom and every modern variety would need to be eliminated in order to develop a healthy open pollinated population. CMS is common in broccoli, cabbage, and radish. The brassicas are not as heavily contaminated as other crops due to a self-incompatibility mechanism which makes hybrids possible by other means than CMS. Nearly all commercial carrots use CMS. Even open pollinated and heirloom lines have been converted to CMS versions. Open pollinated corn is somewhat contaminated with CMS due to the widespread use of CMS in making hybrids prior to 1970 and the continuing use of other CMS varieties since then. Nearly all sugar beets use CMS. About half of red beets are contaminated with CMS. Nearly all commercial sunflowers are CMS. All hybrid onions are male sterile and many open pollinated populations of onions are severely contaminated. The vast majority of commercial onions are male sterile. Onion sterility is due to an interaction between cytoplasmic DNA and nuclear DNA, so it can be reversed with the use of proper pollen donors. Spinach and the cucurbits are not severely affected due to their monoecious or dioecious reproductive strategies. Peas and Beans are such radical inbreeders that they are not commonly hybridized. CMS is not widely available for tomato, but that is subject to change in the near future. I am actively eliminating male sterile plants from my farm by examining each plant in my seed producing beds and weeding out any with CMS. Potatoes: At the end of the 2011 growing season I made a potato salad containing all potato tubers that were not abundantly fruitful. In doing so I eliminated 95% of my potato genome. I am still saddened by the loss, but I figure that long-term it was the best strategy. In future years I will not knowingly save any potato seeds or tubers unless they come from abundantly fruitful plants. Any potatoes that come into my garden will be screened for fruitfulness before being incorporated into my potato landrace. Male fertile plants can be identified by two methods: Tapping a male fertile flower releases a cloud of pollen. Male fertile plants tend to be abundantly fruitful. One advantage of converting to using only male fertile potatoes is that I will have volunteer potato seedlings in my garden so I won't have to spend time and effort on a formal potato breeding program. I can save seeds and tubers from the best growing of the volunteer seedlings. 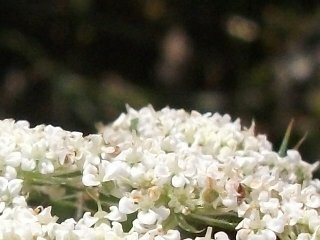 Carrots: Carrot flowers with CMS are easy to identify: They don't have filaments or anthers, or the filaments/anthers are brown and shriveled up. When seen from a distance a male fertile carrot flower looks fuzzy due to so many filaments poking up. Male sterile carrot flowers look smoother. Testing of my open pollinated carrot landrace in 2011 showed that 70% of the plants were male sterile. In the coming growing season the male sterile carrots will be eliminated from my seed patch, and any new carrot varieties will be screened prior to incorporation into my carrot landrace. Onions, Allium cepa: There are several forms of CMS in onion: The flowers look normal, but there is no pollen on the anthers. The flower heads may contain bulbils which is abnormal. Drying seed-heads contain low percentage of pollinated flowers. One form of male sterility in onions is composed of a cytoplasmic factor and a recessive nuclear gene. The sterility can be reversed by pollinating the male sterile plant with a male-fertile plant. Then (some of) the F1 will shed pollen that can be used to pollinate plants with normal cytoplasm. Since onion sterility is subject to Mendelian inheritance as well as maternal inheritance they will undergo routine mass selection to eliminate plants that don't shed pollen, and also to eliminate any flower heads with low seed set or with bulbils. Garlic: I don't know the mechanism causing sterility in garlic. Nevertheless I'm including the work-around. Remove bulbils from hard-necked garlic so that flowers have a better chance of setting seed. Specialized techniques may allow soft-necked garlic to flower, and hard necked-garlic to set more viable seeds. Corn: Tassels with type T cytoplasm do not develop anthers. There are other types of cytoplasmic defects in corn. I'm seeking feedback about how they manifest. Other: I'd welcome feedback about how to identify male sterility in other crops.